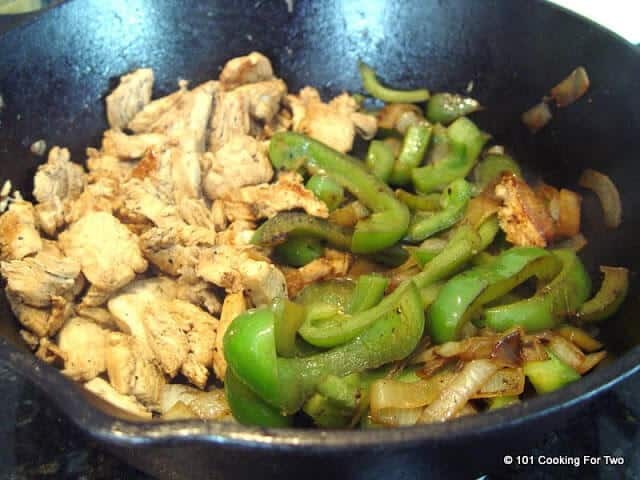 It’s easy to get restaurant quality chicken fajitas with great taste and mass appeal. Only a little work and almost no skill and you have a new house favorite. Only a little work and almost no skill and you have a new house favorite.Happy almost Cinco de Mayo. Here is the “other” restaurant favorite. When I did beef fajitas, I knew that chicken wouldn’t be far behind. I always go back and forth chicken or beef… beef or chicken… What to do? Your choice. But both are easy and if you care, much cheaper at home. Another candidate for house favorite recipe. Start with chicken, clean it and cut up. Now marinade for a few hours, cook in a heavy cast iron skillet then do some veggies, and you are good to go. I always love good Mexican, and this is it. Notes: I wanted something that would fit ingredients that I almost always have on hand. 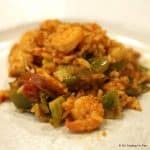 I’ll do an “inspired by” to an Allrecipe.com recipe. There are many great finds there. I kicked the spice up some. I oh so love Mexican. I cut the chicken into strips and then broke them up during cooking. This gives a little of that shredded texture while still having chunks. Cut them into small cubes if you want but I think that looks like dog food in a dish like this. 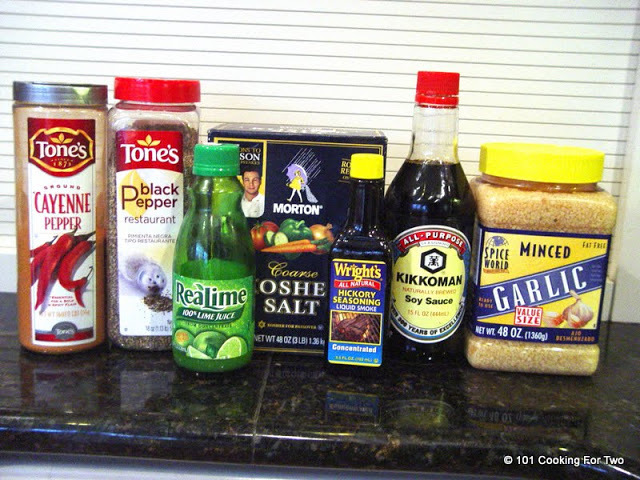 Start by mixing a marinade in a 1-gallon zip lock. 2 T lime juice, 4 T water, 1 T olive oil, 1 t kosher salt, 1/4 t liquid smoke, 1/2 t cayenne pepper, 1/ 4 t pepper, 1 t soy sauce, 1-2 cloves of garlic crushed. Clean and trim about 1 1/2 pound of skinless boneless chicken breasts. This is about 2 medium-large ones. Don’t worry if you’re a little over or under that amount. 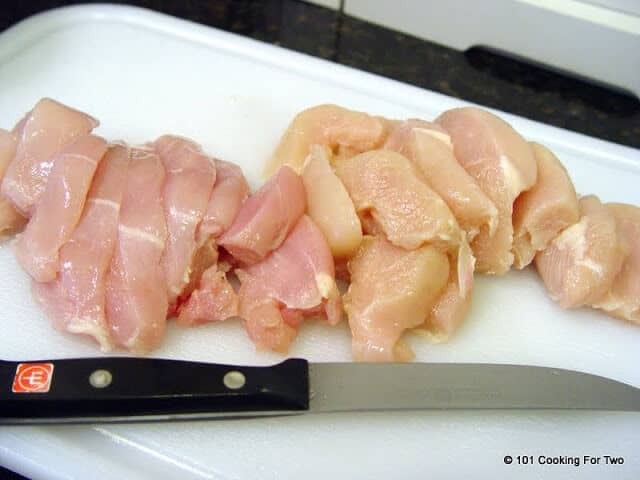 Cut the chicken into strips about 1/2 inch thick. Add to the marinade and refrigerate for at least 2 hours. Overnight is fine also. When ready to cook. 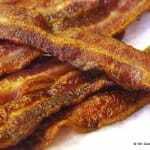 Put 1 t oil in a large cast iron pan and heat over medium-high heat. While heating, slice up a large onion and one or two peppers. I like a medium red and green pepper. If your pepper is large, you only need one. Mix 1 T water, 1 t lime juice and 1 t soy sauce in a small bowl. 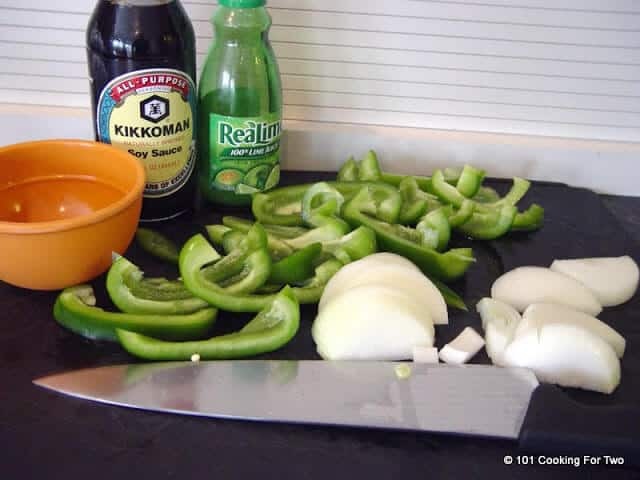 When oil is hot, add the veggies and after a few minutes add the water, soy sauce, and lime mixture. 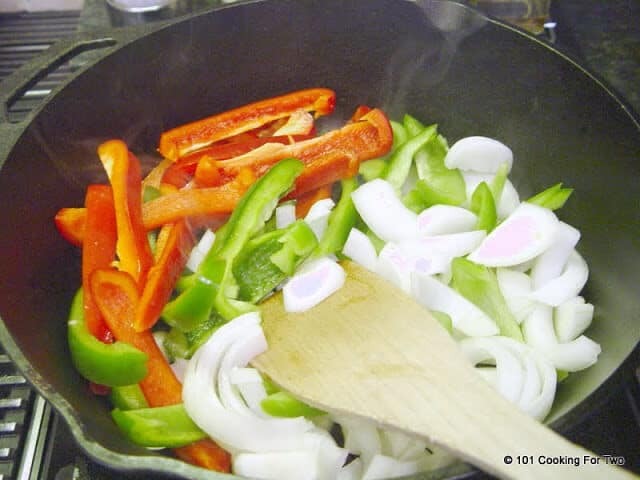 When onions are nicely browned (about 8-9 minutes), Remove from pan and set aside and cover. Add a little oil to the pan. When hot, sprinkled the drained chicken and brown. Near the end of cooking, break apart the chicken with a wooden spoon. This will make much smaller pieces and prove the meat is cooked. About 8-9 minutes. 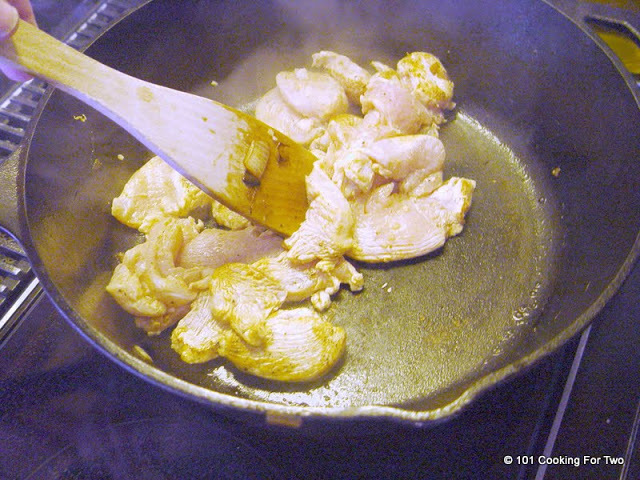 When the chicken is done, move the meat to one side and add the veggies back to the pan. Cook and stir for a minute or two until veggies are reheated. Serve with heated tortillas, sour cream, guacamole and anything else you like. An easy way to heat tortillas is to sprinkle a dish towel with some water put tortillas inside and heat in a microwave on high for one minute. 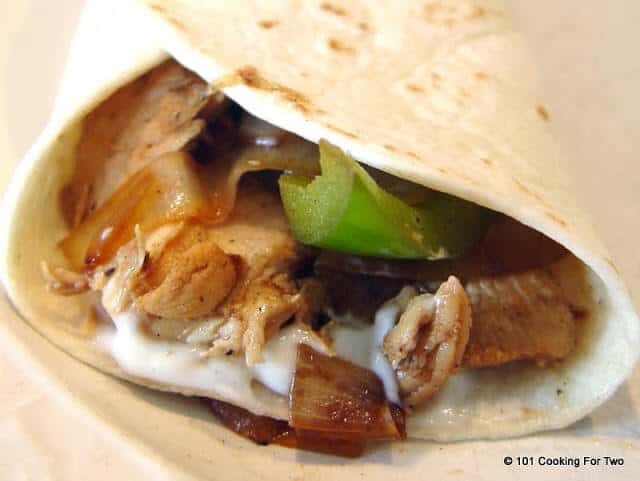 Its easy to get restaurant quality chicken fajitas with great taste and mass appeal. Only a little work and almost no skill and you have a new house favorite. Add a little oil to the pan. 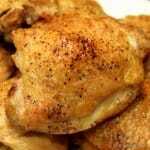 When hot, add the drained chicken and brown. 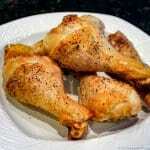 Near the end of cooking, break apart the chicken with a wooden spoon. This will make much smaller pieces and prove the meat is cooked. About 8-9 minutes. Serve with heated tortillas, sour cream, guacamole and anything else you like. An easy way to heat tortillas is to sprinkle a dish towel with some water, put tortillas inside and heat in a microwave on high for one minute. Nutritional information is for chicken and veggies only. T is tablespoon and t is teaspoon. I just moved the FAQ section onto the main part of the menu bar to help. 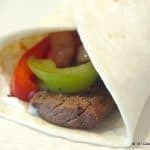 I love fajitas, probably one of my favorite meals from the grill. I have to have a little cumin in mine, one of the definitive flavors in the profile.